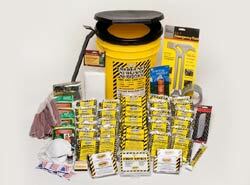 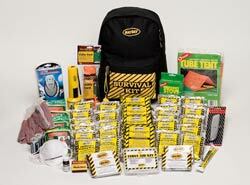 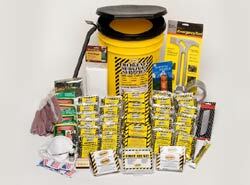 Specifically designed to support four people during catastrophic events. Includes a three supply of food, water and medical supplies. 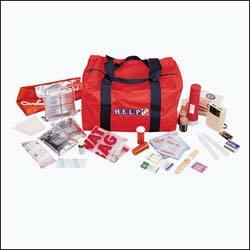 Sturdy carry case for easy storage. Ideal for home, office or on the road. 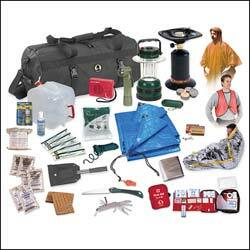 Includes lantern, radio, stove, tarps, poncho, blanket, water packs, first aid kit, safety vest, whistle, candles, soap, waterproof matches, fire starter sticks, water jug, rope, knife and cargo bag. 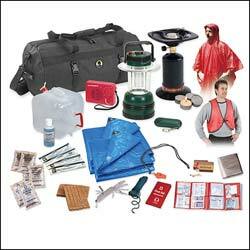 Includes lantern, radio, stove, tarps, poncho, blanket, water packs, first aid kit, safety vest, whistle, candles, soap, waterproof matches, fire starter sticks, water jug, rope, knife and cargo bag, sleeping bag, food bars, water purification tablets, flahlight, light sticks, 6-in-1 multi tool, wag bag.